I am accessory obsessed. Accessories can refresh any old summer outfit to something new. I shop my closet and add sunglasses, which = better on my $$ pockets. 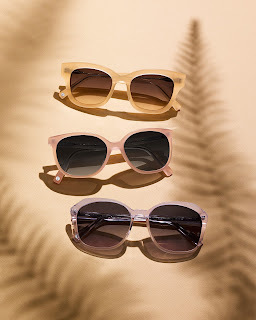 I found Warby Parker to have a GREAT price point (starting at $95+) for eyeglasses and sunglasses. I stop purchasing high price sunglasses ($250+) After my lasik eye surgery a few years back I no longer need eyeglasses. But Sunnies are my BFF, I can never have enough.